I'm doing my best. I really am. 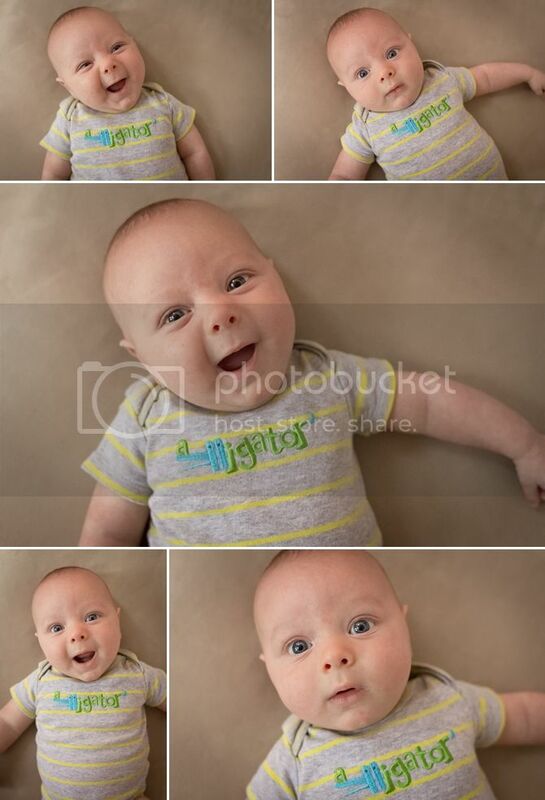 I'm trying hard to make sure that sweet, little Keaton gets as many pictures as the first two did. Which is good, because he has just as many sweet smiles as Braden and Finley. When you are taking a zillion pictures of your kid (or dog or house or food), you have to put them somewhere, otherwise they turn to viruses and melt your computer. It's true, Google it. So this is my yearly reminder to do something with your pictures to save them forever. Print them. Blog them. Frame them. Make a photo book. Something so that they don't get lost in the abyss that is your hard drive. They'll thank you.